Even though it’s been a year and a half since it left the airwaves, diehard fans of Agent Carter have still not forgiven ABC for cancelling the Marvel spy series. If you recall, season 2’s finale left many dangling plot threads unanswered, both in terms of the characters’ relationships and the ongoing narrative. Unfortunately, we’ll never see these ideas come to fruition, but at least now we have a flavour of what might have transpired. While attending Heroes & Villains Fan Fest in London over the weekend, Peggy Carter herself, Hayley Atwell spoke a little bit about what we would have seen in Agent Carter season 3. For one, we would have had Peggy grow even closer to Jarvis and his wife Ana. Atwell said that the strengthening bond between Peggy and Jarvis was one of her favourite elements of season 2 and that she would have loved to have seen that explored some more. Likewise, Atwell teased that the season would have revealed more about Peggy’s upbringing in England and how that shaped her into the tough woman she is today. Fans will remember that season 2 first delved into the character’s backstory. In particular, how the death of her beloved brother motivated her into becoming a secret agent in the first place. One of the big questions fans have about Peggy is just who she ends up marrying. In Captain America: The Winter Soldier, we find out that she eventually moved on from Steve Rogers and raised a family. Was her future husband Daniel Sousa, her main love interest in Agent Carter? Atwell didn’t have an answer for that, but admitted that she was as interested in finding out as we are. 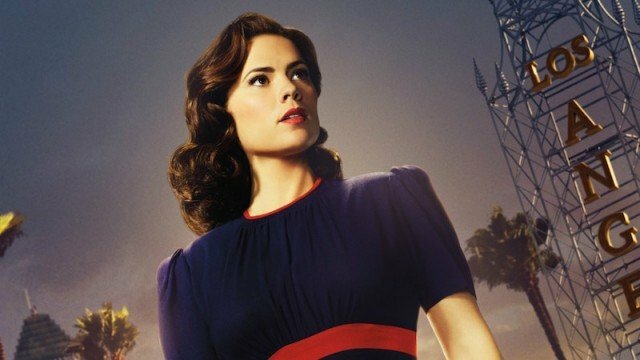 Though her live-action adventures in the Marvel Cinematic Universe may be over, Hayley Atwell is set to reprise Peggy Carter in Marvel’s Secret Wars, an animated series coming to Disney XD coming some time in 2017.